More autographs. More parallels. 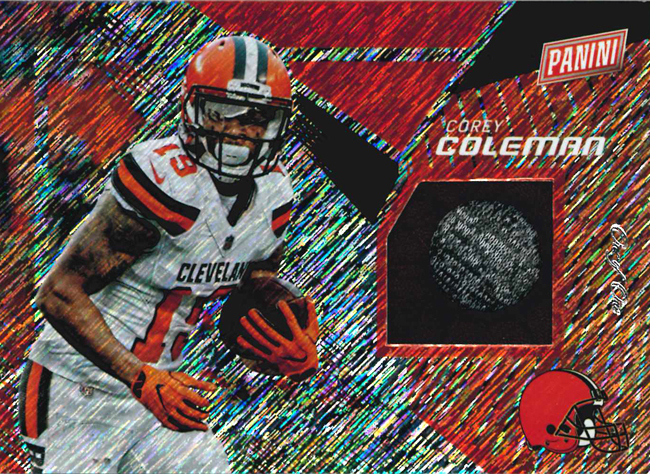 A throwback design that takes collectors right back to the flash-filled 1990s and early 2000s. 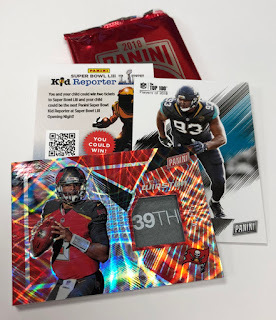 And a chance to be a part of Panini America’s 2018 Kickoff promotion. That’s the short list of attributes associated with the early October release of 2018 Illusions Football. 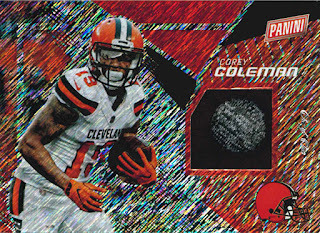 The 2018 edition picks up right where last year’s debut left off, with unique two-player fronts featuring one current player and one former player from the same team. 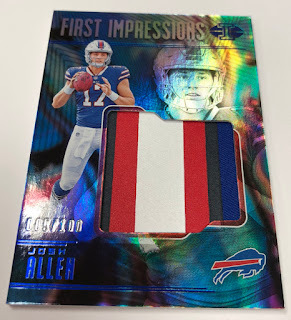 But 2018 Illusions Football has more going for it than just promo packs, parallels and penmanship, though. On average, each hobby box (five cards per pack, 10 packs per box, eight boxes per inner case, two inner cases per master case) will deliver one autographed memorabilia card, two autograph cards (including one as a silver-wrapped box topper), two memorabilia cards, six base parallels, three insert parallels and five inserts. 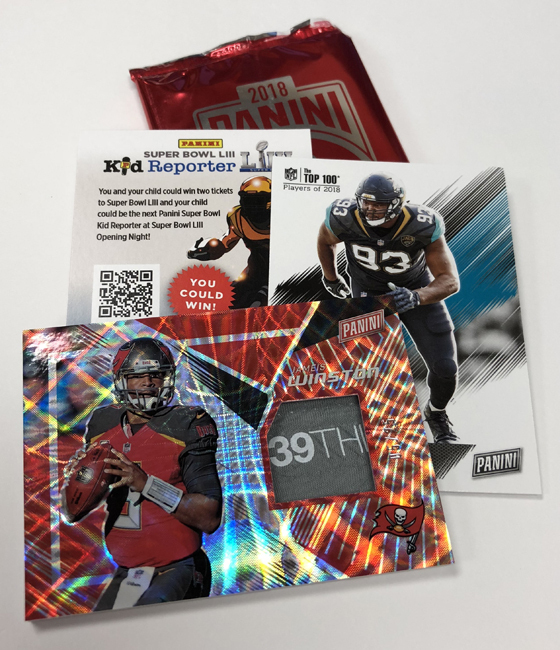 Distributors preordering 2018 Illusions Football will receive two free 2018 Kickoff packs for box pre-ordered. Each case pre-ordered will receive 32 Kickoff packs. Now, onto more of the product highlights . . . 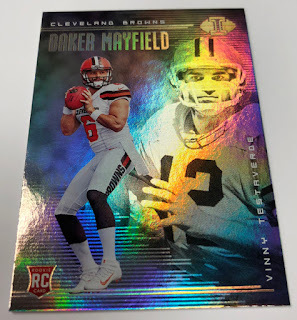 The base set includes Trophy Collection Gold (numbered to 499), Trophy Collection Blue(numbered to 249), Trophy Collection Red (numbered to 199, Trophy Collection Green(numbered to 99), Trophy Collection Pink (numbered to 75), Trophy Collection Black(numbered to 25) and Trophy Collection Purple 1/1 parallels. First Impressions Memorabilia Autographs RPAs (numbered to 499 or less) are paralleled by Blue (numbered to 100), Red (numbered to 50), Green (numbered to 25) and Purple 1/1 versions. Find dual-autograph cards in the Rookie Dual Signs, Rookie Reflection Dual Autographs and Mirror Dual Signatures inserts. 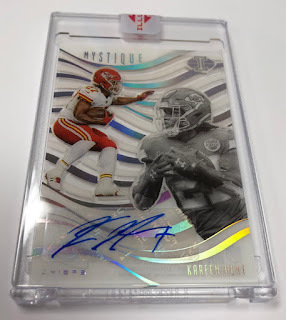 Other autographs include First Impressions Memorabilia Autographs, Rookie Signs, Veteran Signs, Rookie Endorsements and the popular Elusive Ink. 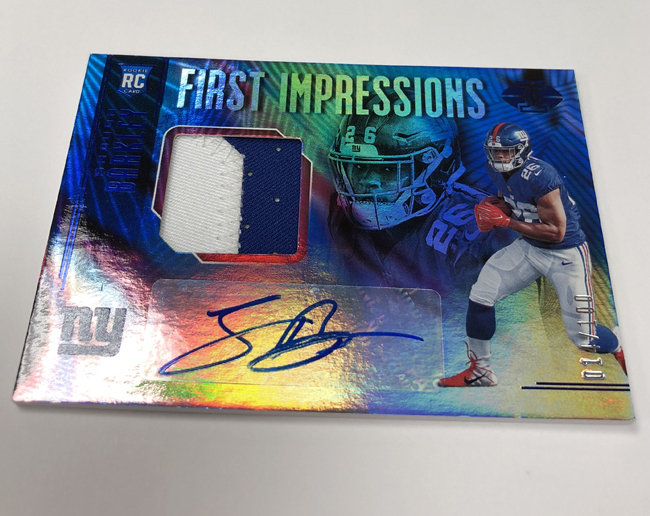 Memorabilia sets include First Impressions Memorabilia, Spotlight Memorabilia, Rookie Reflection Dual Patch, Legacies Dual and Triple Memorabilia and Rookie Idols Dual Memorabilia. 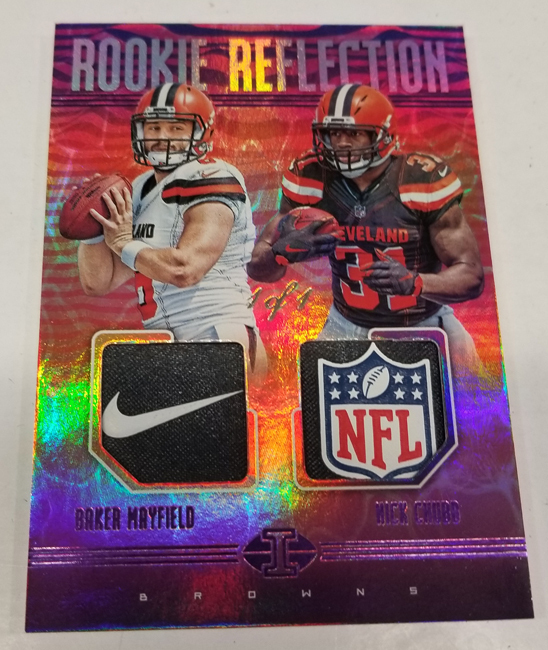 New for 2018: Rookie Endorsements Auto Variations, Illusionists Autographs, Mystique Autographs and Living Legends Autographs (all found only in the box topper packs).